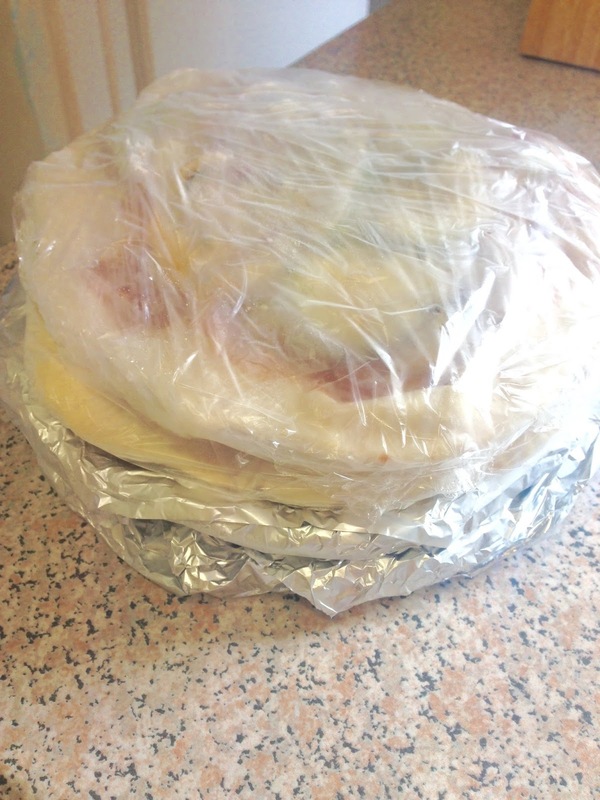 DIY Frozen Pizzas - a roaring success!! 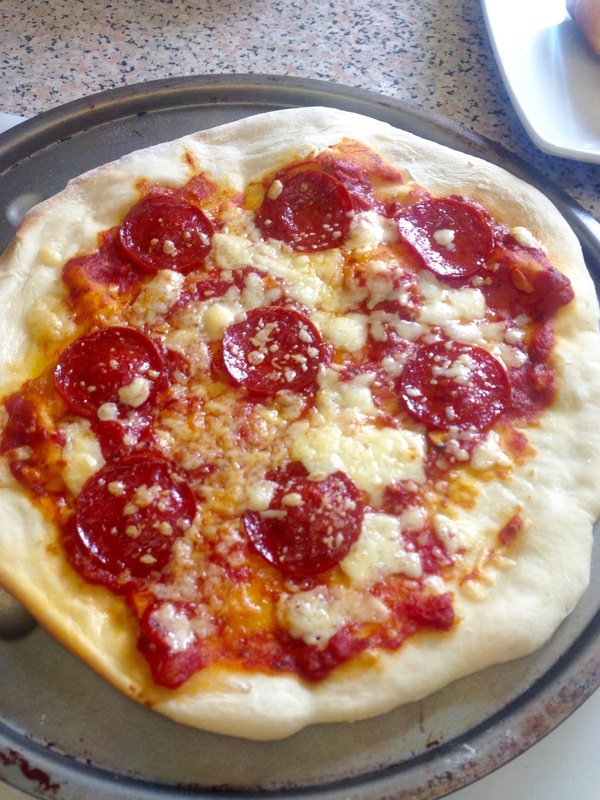 We love homemade pizzas in this house. They are much better than the ones you can buy from the freezer section of the supermarket and super cheap! The only thing I do resent is the MESS it makes of my kitchen. The only dishwasher I have happens to be six feet tall and dashingly handsome so, though I do love him all wet and slippery, I try to keep washing up to a minimum. This week I decided to try making a few pizzas at a time and then freezing them for later. All going well, the plan was that in the future I can make a huge pot of sauce, a wok full of veggies and get the bread maker to whip up a huge batch of dough. Well...it worked! My go-to pizza sauce recipe is a couple of cloves of garlic gently fried in a little olive oil, to which I add a tin of value plum tomatoes, a heaped tbsp tomato puree, oregano, salt, pepper and a dash of balsamic. This is then simmered until thick and rich. I adore my bread maker. I popped in some Lidl flour, pressed some buttons and 45 minutes later I was rolling out my pizzas. They went in the oven at gas mark 7 for about 5 minutes until they were slightly puffy on the outside. I then whipped them out and cooled them. If you don't have a bread maker, best consult the master. I sautéed my onions, chilli, pepper, courgette and mushrooms in a little oil until they had softened. I then spread the pizzas with sauce, veg and crumbled reduced cheese (I got a big posh pack for 79p last week and it's been used for several meals!) and froze wrapped in cling film. 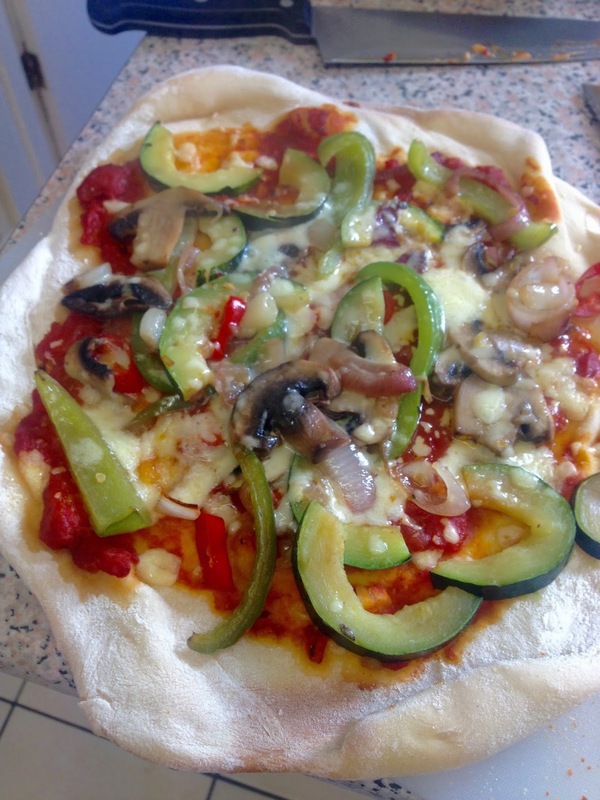 Roll on tonight and after 15 mins in the oven we are tucking into homemade pizzas. Once we move and get a chest freezer my daughter and I will be having bulk pizza making sessions! Yum! Savoury Courgette Pie, 30p per portion!